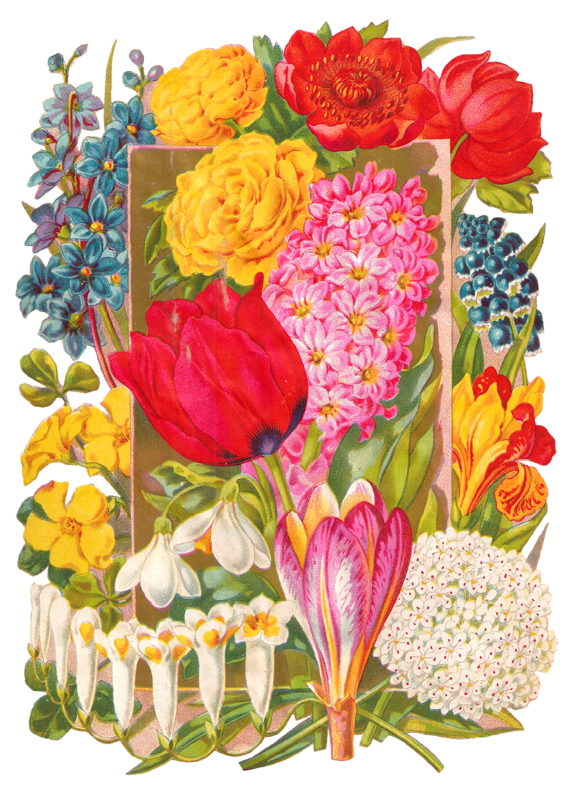 Today I've posted a spectacularly beautiful digital flower clip art download of an antique, 1850 seed catalog. 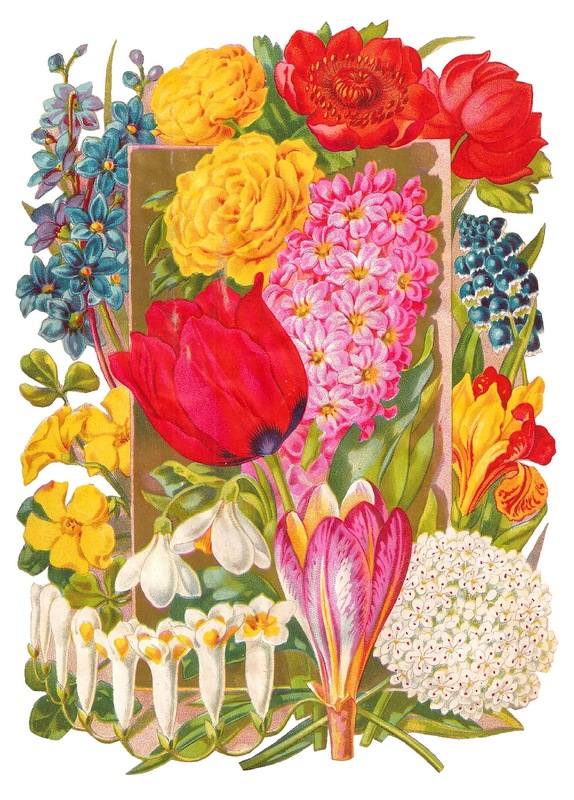 This antique botanical artwork illustration is of many, colorful flowers, including tulips, iris, roses, and Forget-Me-Nots. 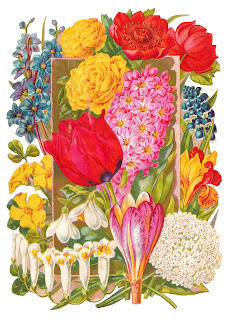 This very pretty digital flower clip art would make any handmade Mother's Day project memorable and stunningly gorgeous.